Well this is a weird one for me, my friend Chris Searl from Monster Children sent me this scan the other day of George which I had completely forgotten I'd even taken. I was late for a MC deadline and didnt have time to process the roll of film so I sent it straight to MC so they could process it [prob 4 yrs ago]. I dont know were the film is but Chris sent me this half frame shot the other day. 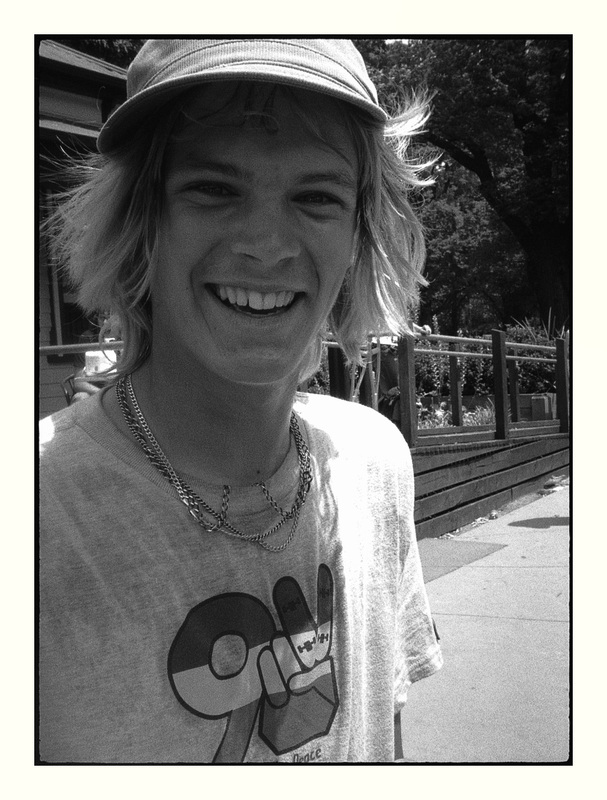 George is an amazing skateboarder from my hometown of Adelaide in case you where familiar with the name.